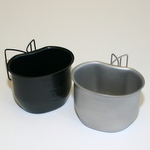 These 1 litre capacity stainless steel mugs were introduced to update the standard British Military waterbottle by providing a mug to heat liquids or food in. Made by current Ministry of Defence Contractors, the mug will fit on the bottom of the standard 2 pint waterbottle, allowing the bottle to be removed from a pouch without the need to remove the mug. 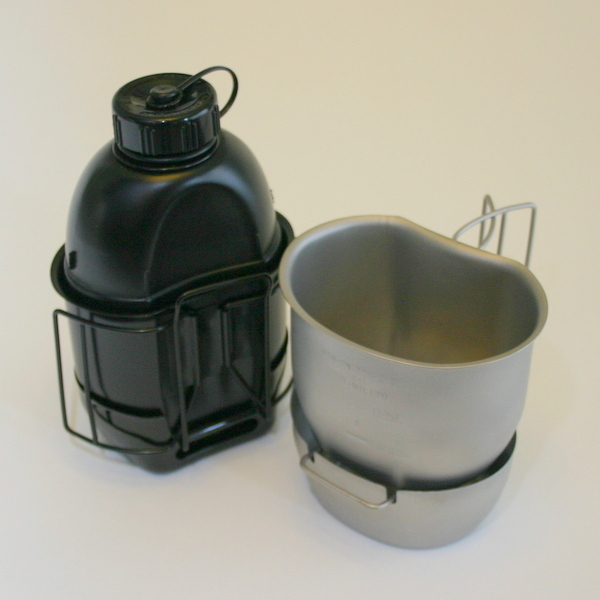 Alternatively both the Crusader mug and the standard plastic mug can be carried with the waterbottle in a pouch. 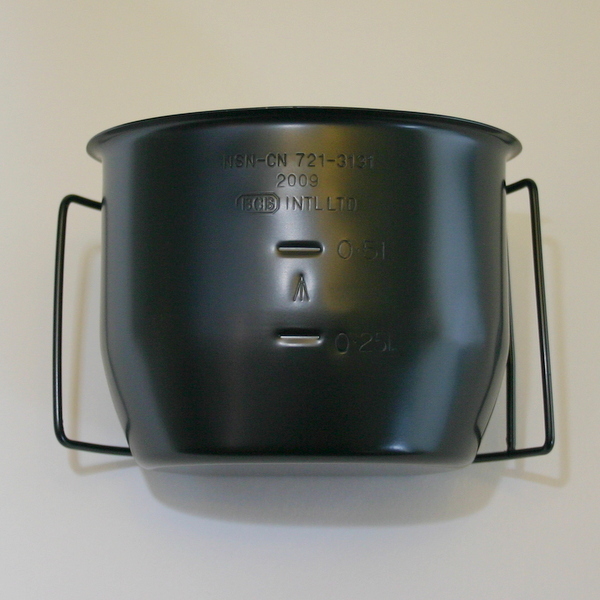 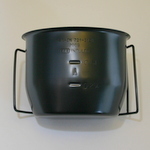 These mugs can be placed on a fire or stove, but are best used with the Crusader stove, sold seperately. The Crusader mug is available in a black PTFE coated for non-stick use and easy cleaning.